Rose Gold is enjoying the spotlight in the fashion world today and Style Dots is completely on-trend by offering a nice selection of foundations and Dots in this warm-hued metal. 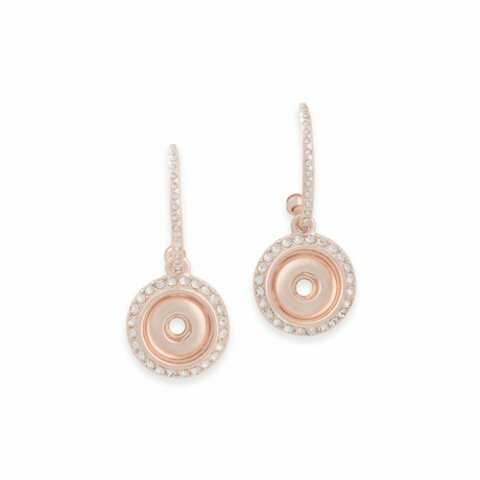 Our Rose Gold Bling Earrings beautifully frame any Rose Gold Dot you choose to snap in. Earrings have a drop of 1-3/4"